BEA Day 2: African American Authors are NOT a Genre! | Read in Colour Read in Colour: BEA Day 2: African American Authors are NOT a Genre! 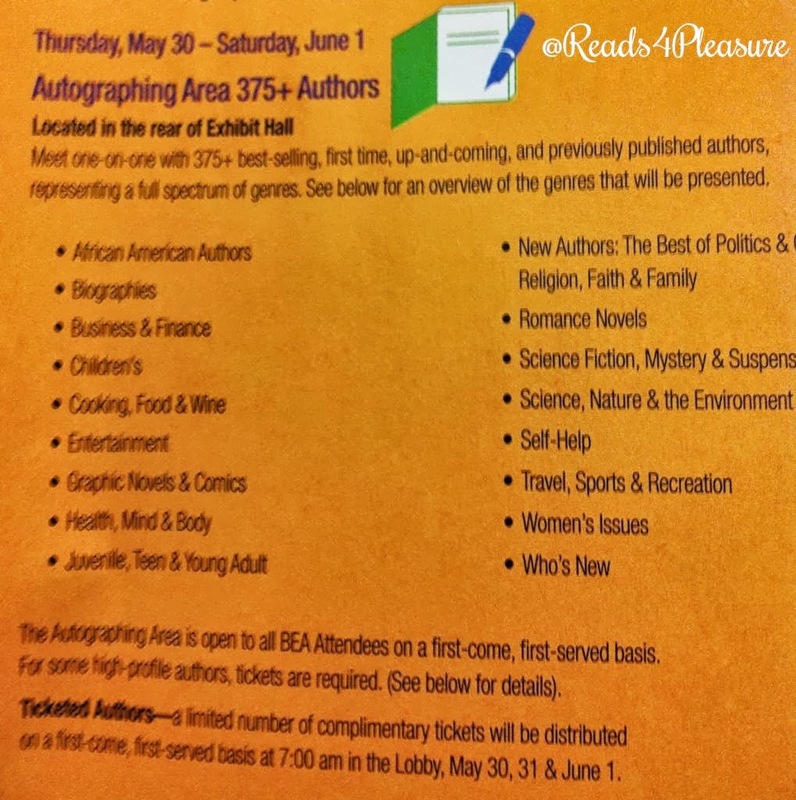 BEA Day 2: African American Authors are NOT a Genre! I can't count how many times I've ranted about how publishing lumps African-American writers and books together regardless of their actual genre and lo and behold, BEA turned around and did the same thing. 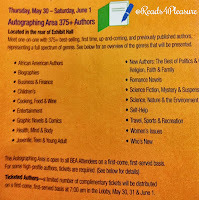 If you look at the picture I posted, you'll see a section in the program highlighting the autographing area and types of books available for signing. It includes genres like romance, self-help, cooking...and African-American authors. <sigh> What in the entire hell??? After the sessions the day before, I shouldn't have been surprised, but I was. Silly me. Any who, BEA created an iPhone app that I'd downloaded before arriving. I'd already plotted out which authors I wanted to meet, what books I wanted to pick up, etc. What I didn't account for was that a lot of books weren't mentioned in the pre-convention information. It wasn't until stopping at some publisher's booths that I saw unlisted titles available. Publisher's Weekly also published a daily magazine that highlighted books and authors making appearances that I otherwise would not have known about. One of the unexpected surprises that I picked up was the new Terry McMillan books, Who Asked You?, due out in September. I tore through it on the plane back home and I'm giving it four purple chairs. 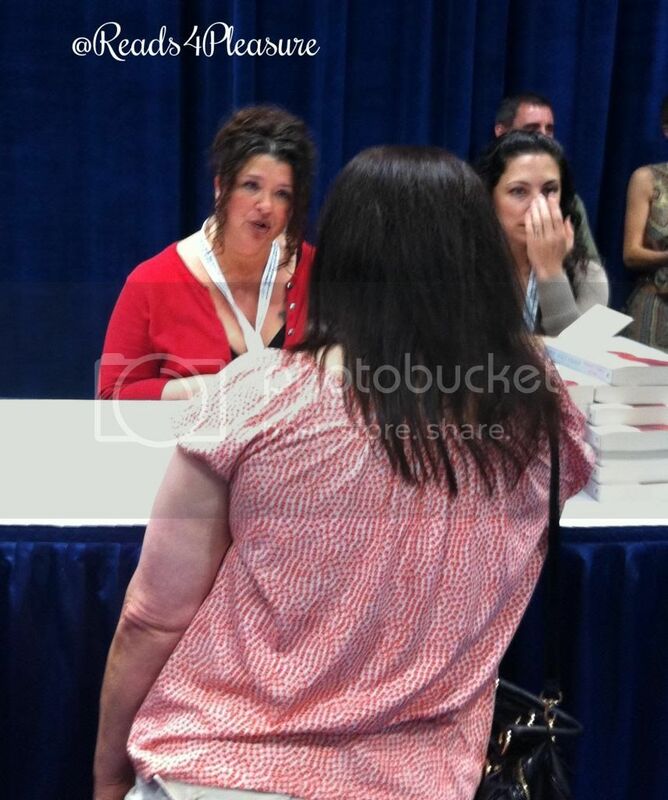 Amy Hatvany signing for a fan. One of the biggest highlights of my day was meeting author Amy Hatvany (Heart Like Mine). I've read all of Amy's books and I love her work. Imagine my surprise when she looked at my name tag and immediately recognized me! I was speechless (remember, I stan for authors, not musicians), but managed to utter something intelligible and smile. Even though I've already read Heart Like Mine, I had Amy autograph a new copy that I'll be giving away at a later date. Now back to that African-American authors "genre," I searched high and low for it, but alas, it was nowhere to be found. Stanley Crouch, Kareem Abdul Jabbar, Ishmael Beah and Octavia Spencer were all scheduled to speak and/or sign autographs, but guess what? They all write in different genres! Stanley's book was about jazz musician Charlie Parker, Kareem's was a semi-biographical book about basketball, and Octavia's book is about a girl detective. But BEA just lumped them all together as one genre. 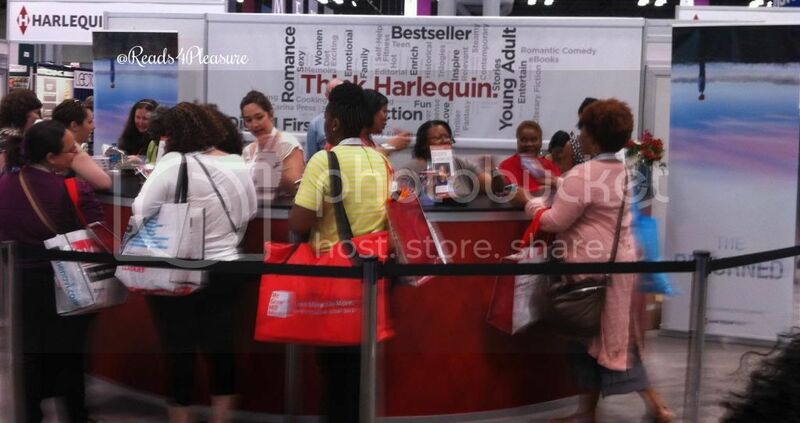 What I did find was a small group of black romance authors who write for Harlequin's Kimani division doing a signing. It was also where I got to meet @femme40, who has been in the publishing game for years. In talking to her and some others that stopped by to greet her, I found out that there's a separate event called Black Pack where the brown people at BEA get together for a mini reunion. I had tickets to a play that night, otherwise I definitely would have been there to get the inside scoop on what goes on in the vanilla halls of publishing. I was honored to be in the presence of greatness Thursday night as I sat in the Stephen Sondheim theater and witnessed the queen mother do her thing. Cicely Tyson was in the house, ladies and gentlemen, and she put on a show! At 88, Ms. Tyson is still a force to be reckoned with. As Carrie Watts, she's an elderly woman who lives with her spineless son Lutie, played by Cuba Gooding, Jr., and her strong willed daughter-in-law, Jessie Mae, played by the gorgeous and talented Vanessa Williams. Lutie has just gotten back on his feet after being sick for awhile and he and Jessie Mae depend on Carrie's pension checks to keep them afloat in Houston. But Carrie wants to return to her hometown of Bountiful to feel the dirt and see the sights and be around those that she loves. She's promised Lutie she won't run away to Bountiful again as she has in the past, but promises are made to be broken. Along the way, Carrie meets Thelma, played by Condola Rashad, daughter of Phylicia and Ahmad Rashad, who attempts to help her find her way to Bountiful, and the sheriff, played by Tom Wopat of Dukes of Hazzard fame. This was a beautiful production and if I had the time, I would have seen it again. Friday: BEA Day 3: Why Are Those Girls from Brave Dressed as Ninjas?